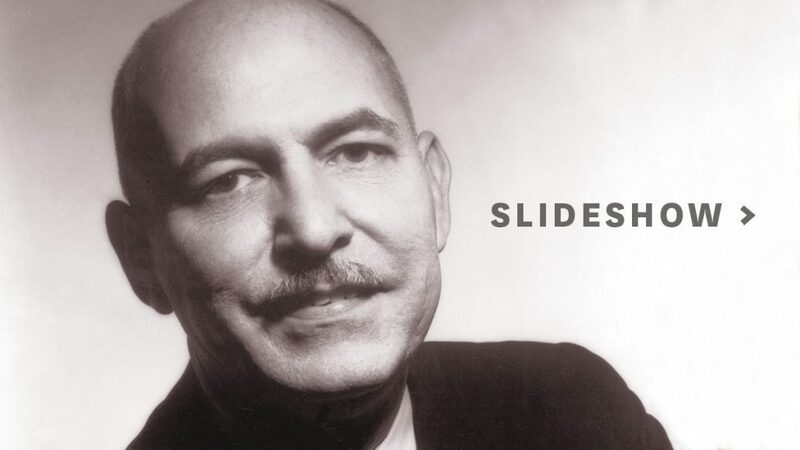 William Vennard (1909-1971), chair of USC Thornton’s voice department from 1950 until his death, was a pioneer in the development of science-informed voice pedagogy. Lynn Helding introduces the Vennard Symposium on Friday, May 18th, 2018, at the USC Music Library. Vennard Symposium presenters (left-right): Ken Bozeman, Cindy Dewey, Lynn Helding, Stephen Austin, Scott McCoy, Kari Ragan, Thomas Cleveland, and Andrew Justice. Left: Lynn Helding with master's student Kiley Hazelton. Right: Helding with Vocal Arts & Opera music director Brent McMunn and faculty member Ken Cazan. 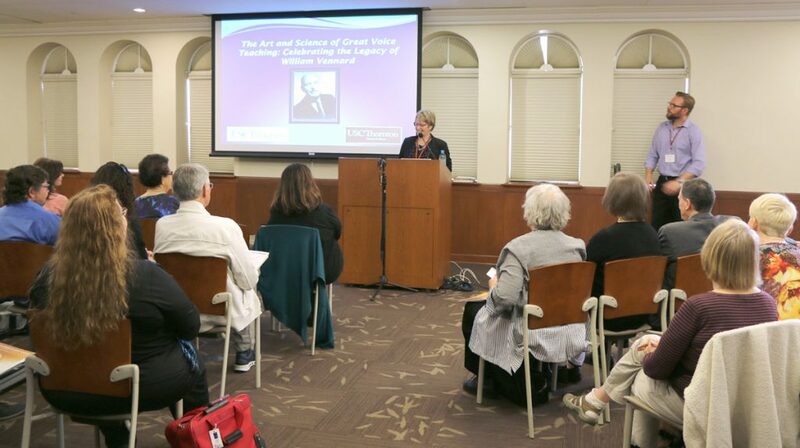 Last May, a group of like-minded vocal teachers, historians, scientists, and singers gathered at USC’s Doheny Memorial Library to celebrate the legacy of William Vennard (1909-1971). Chair of USC Thornton’s voice department from 1950 until his death, Vennard was a pioneer in the development of science-informed voice pedagogy, or the science behind healthy singing. The audience murmured in astonishment when Andrew Justice, head of the Music Library, introduced a 1,435-line document cataloging the hundreds of letters, sheets of music, photographic slides, and audio recordings of the new William Vennard Collection. It was clear to everyone involved that Vennard’s work was truly ahead of its time. Like so many invaluable research materials, the Vennard Collection originated in the most unexpected of places — an Illinois garage. 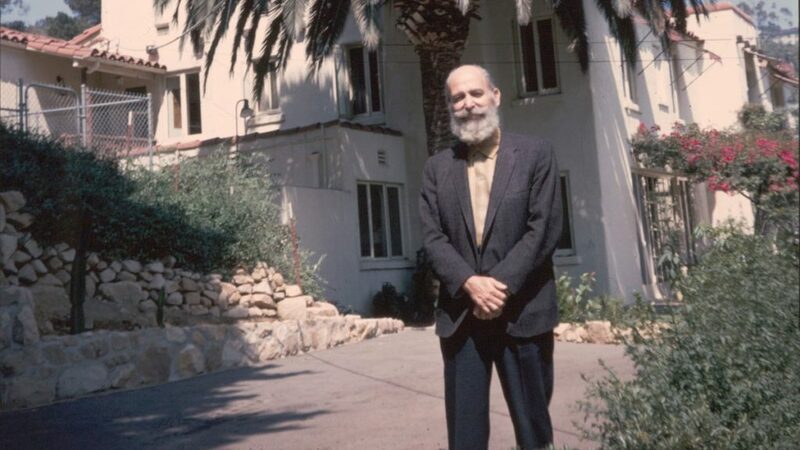 When a collector discovered two boxes of Vennard’s slides at an estate sale several years ago, she sought out the guidance of Lynn Helding, professor of Vocal Pedagogy at USC Thornton and a thought-leader in the field of vocology. Helding subsequently turned to a former student of Vennard’s, Thomas Cleveland of the Vanderbilt Voice Center, who revealed that he had been gifted the professor’s entire body of research. Vennard’s archives and slides were en route to USC about a year later, with a little help from a USC Libraries’ Dean’s Challenge Grant. 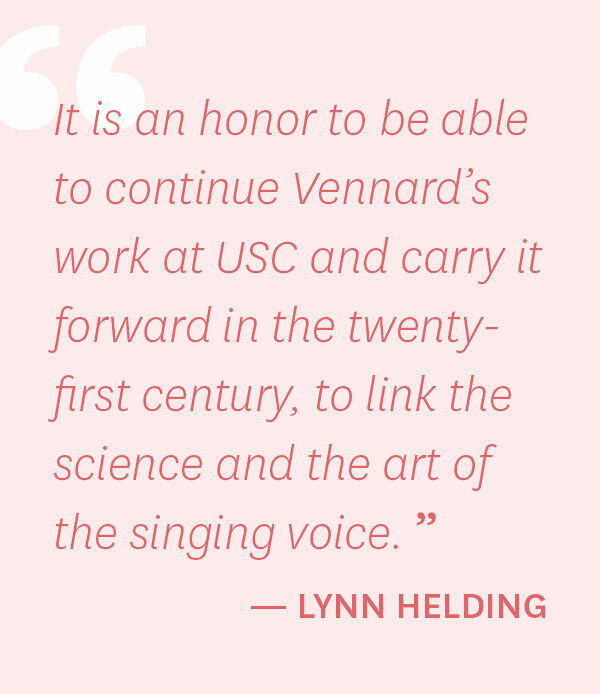 William Vennard was a notable teacher of singing — among his most famous USC alumni is operatic mezzo-soprano Marilyn Horne — but he is best remembered for his study of the science of healthy singing, a field now known as science-informed voice pedagogy. Helding, who helped organize the symposium, noted that Vennard’s research was largely concerned with physiology, but has since expanded to include other fields. With eight presenters, the day-long symposium included topics such as “Evidence-based Voice Pedagogy: In Defense of Scientific Understanding” and “The Missing Mind: The Third Pillar of Voice Science.” Participants also enjoyed time to explore the Vennard Collection, including photographs taken during the creation of his award-winning 1960 documentary film, Voice Production: The Vibrating Larynx. 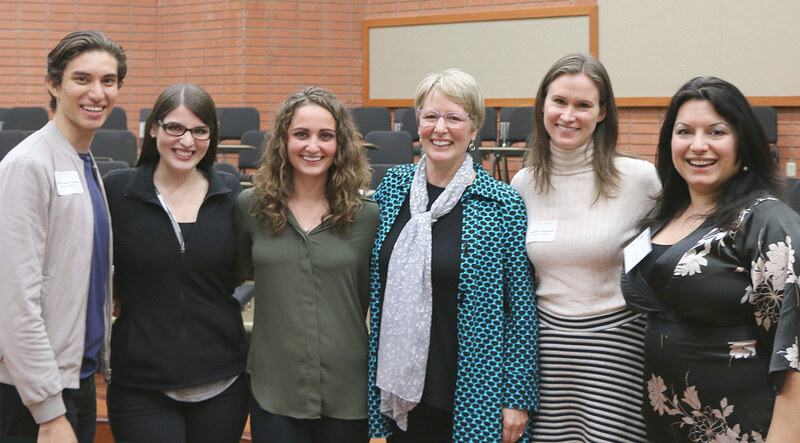 For five students in Helding’s spring Vocal Pedagogy Practicum, the gathering was the culmination of months of in-depth work to prepare the new collection. Graduate students Michael Dawson, Irena Preda, Rina Ritivoiu, Andrew Schultz, and Colin Stave poured over thousands of Vennard’s research materials to produce the detailed archival “finding aid” that will guide future researchers. 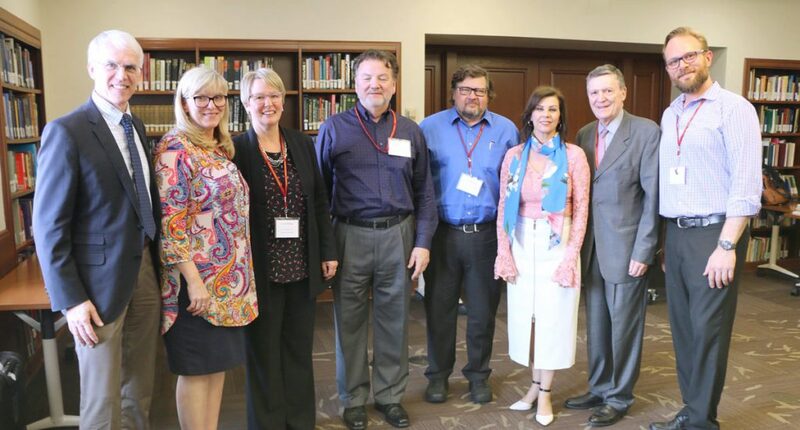 The public Vennard Symposium was the kick-off event for a separate, two-day summit about the future of vocal pedagogy, attended by 39 experts invited from 35 universities across the U.S. and Canada. 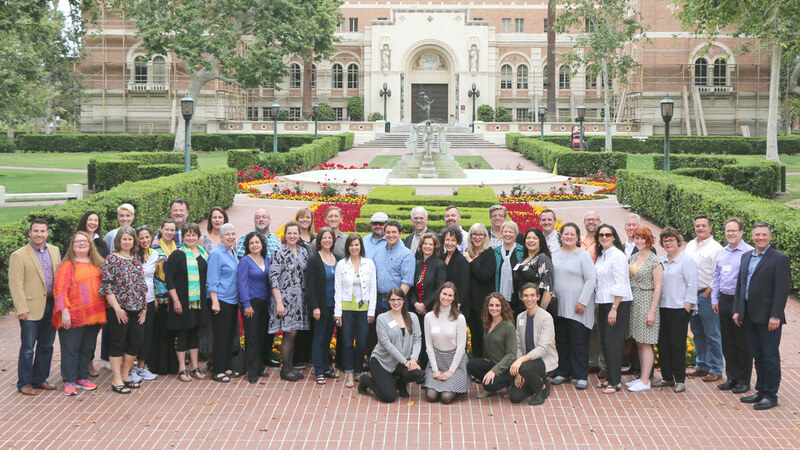 Building on the success of a similar event at the Ohio University in 2015, the attendees convened a round table to articulate new standards for the future of science-informed voice pedagogy. “What should people be teaching?,” Helding said. “What sort of topics must have priority in a curriculum?” Their conclusions will be manifested in a position paper, signed by all 39 summit participants, which will become the appendix of the forthcoming book, Proceedings from the Vennard Symposium, featuring essays by the symposium’s seven speakers and a foreword by Marilyn Horne. Helding was recently named Vocal Pedagogy and Singing Voice Science Specialist of the USC Caruso Department of Otolaryngology – Head & Neck Surgery. 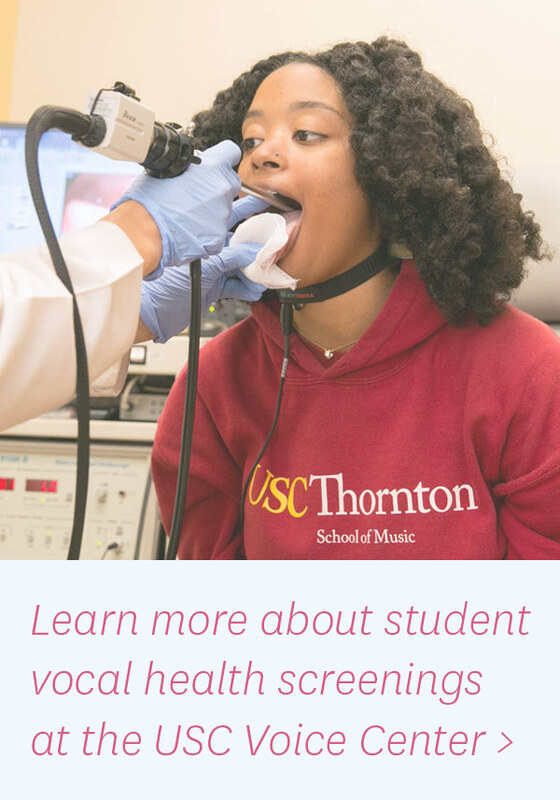 The department’s USC Voice Center facilitates free annual laryngological health screenings for students in Thornton’s Vocal Arts & Opera program, which serve as a kind of ‘pre-emptive strike’ to establish a baseline of good vocal health. 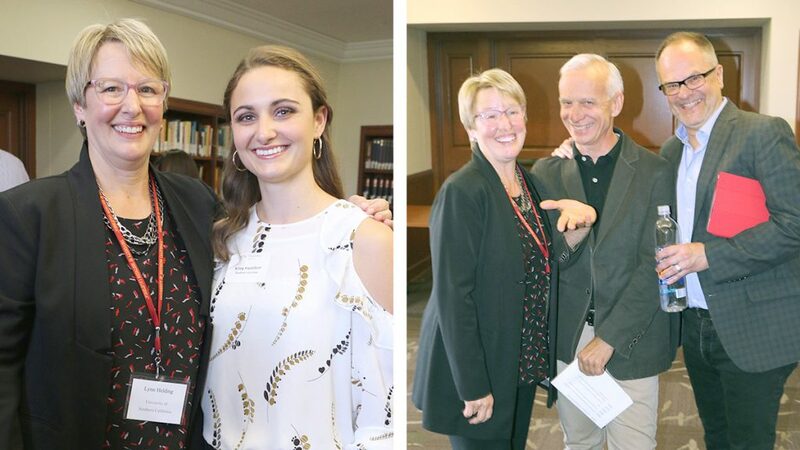 Helding has worked with Dr. Michael Johns, Voice Center director, and Dr. Edie Hapner, professor of Clinical Otolaryngology – Head and Neck Surgery, to create a semester-long voice medicine course to be offered on site at the USC Voice Center in Spring 2019 so that students may learn even more about their instruments. On Friday, September 28th, the USC Voice Center will offer voice and hearing screenings for USC Thornton Vocal Arts & Opera students. The USC Engemann Student Health Center offers a low-cost Musculoskeletal Concierge Clinic available to USC Thornton student musicians on an ongoing basis.